This season’s color palette is reverence to intense hues, transcending all regional and ornamental standards. Intense shades give way to enthusiasm, cheerfulness and zeal, where serene permanence also prevails in 2016’s palette. 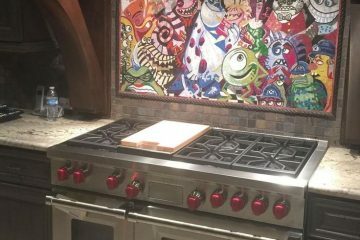 Want to get started on your 2016 home design inspiration? Curious about the latest trends of colors, aren’t you ? Wondering which colors will dominate decor in the coming year? In this article I’ll help you discover the latest trends of colors and color combos, and how to make your year sparkle, with concentrated yet unruffled hues! You will also have a seasonal color forecast to paint your season in throughout the year, reflecting a landscape of hope in the months to come! From intense color to filthy, natural hues, we gaze at the striking palettes predicted for 2016. Getting in on this year’s color palette is sure to help you get started with your 2016 home decor renovation, evoking cheerfulness and creating serene spaces. 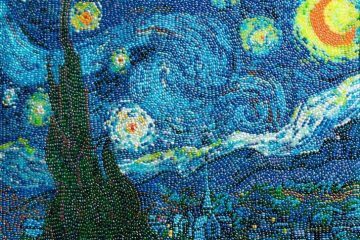 To make the year’s rundown more intelligible, I’ll be contemplating a detailed mosaic reproduction of Vincent van Gogh’s famous painting ”The Starry Night”. 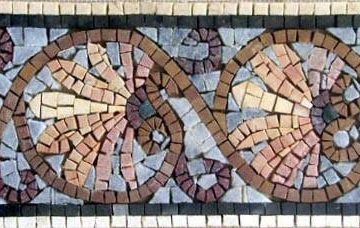 I already illustrated in previous articles, that whenever I think of color I immediately think of mosaic art, which junctions and elucidates the hues. In my opinion natural stones have the most beautiful colors that can fit any design or color chart you can think of! After delving into the web, contemplating and analyzing many opposing, yet imposing color forecasts, I’ll share with you in this article a few of my favorite and of course the seasonal color forecast! Sunflower shades, ocean of teals, aqua’s and emerald from bright to grumpy, blue and yellow hues will continue to trend at the top into 2016. Starry Night’s palette reflects the power of the whirls and soft, the dominance of white and yellow and creating a spiral effect, drawing attention to a fierce sky. Beautiful muted plum pairs well with this cluster, a deep accent in a relaxing yet exciting palette. These powerful whirls sitting above the quiet town, are a contrast that Van Gogh created to illustrate a link between life and death. Luminous stars, crescent moon and a gloomy, peaceful village are the main light sources. 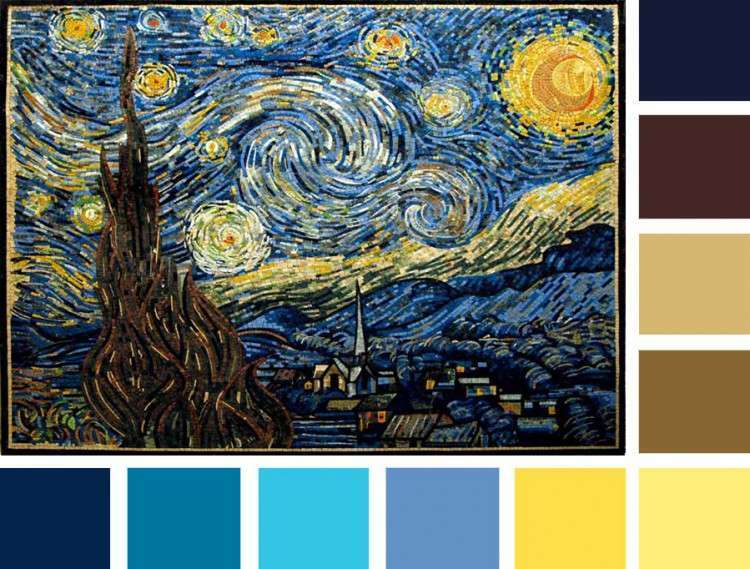 Van Gogh paints the rich colors of the night and this corresponds with the true character of this Starry Night, whereby colors are used to suggest emotion. The fall of 2016 appears a galaxy of bright visions and enticing dreams. The palette consists of blue shades of ethereal fantasy and delightful imagination on a canvas of sateen and silken textures. 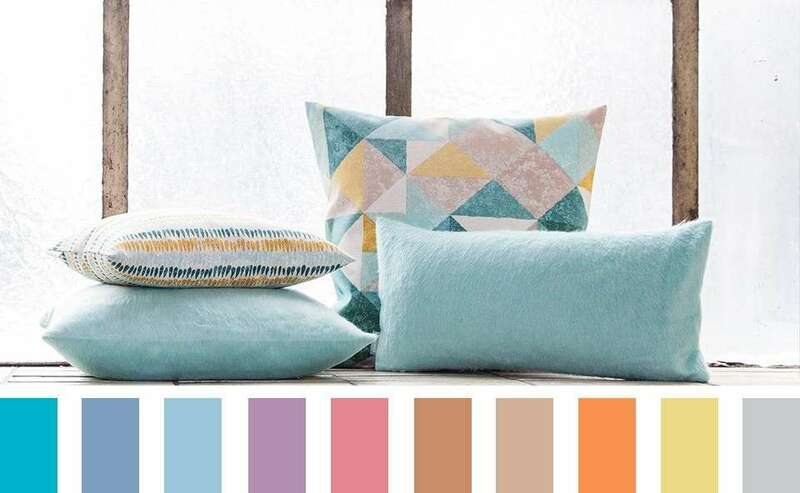 Powder blue and orange tones form an enticing part of the palette, where sunflower shades, ocean of teals, light aqua’s and hues will continue to trend at the top into the fall/winter 2016. 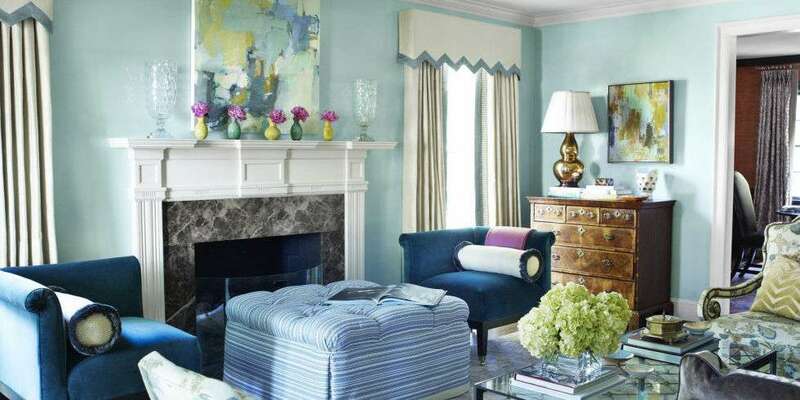 The spring of 2016 appears a far affair for décor enthusiasts but interior designers at have come up with thrilling color trends for the season… The season fells intense and spunky with beautiful bright pastels intimating the color palette. Spring/Summer 2016 takes us into a new dimension of color, one with many color oppositions and no unbreakable and fast color rules. Fresh and lively hues will flaunt a feeling of flimsiness and simplicity in every corner of your home! As color crosses the threshold into a new dimension in 2016, we not only see color, we experience and feel color. Color degradation will be an element of spongy harmony, divided up in steps and, where we also notice striking yet soft contrasts. We all know that when we think of color combos, certain colors will dominate our view, black and white for example. Black and white isn’t your only option this year! Be bold enough to expect unexpected combos like tangerine, wasabi with ocean blues are pretty, new and totally original. 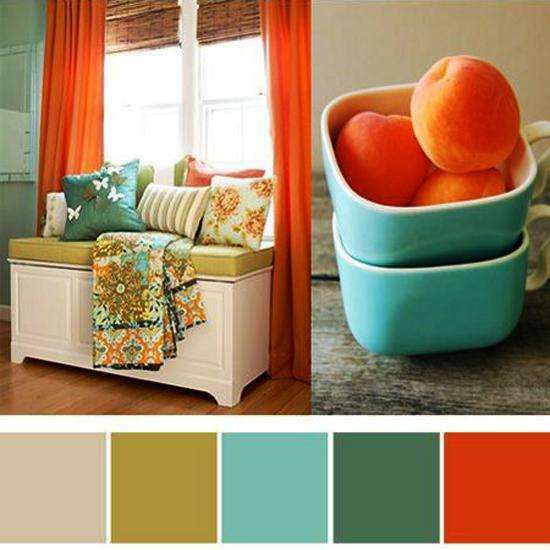 Consider combining any of these color palettes with natural sunflower shades, ocean teals and bright orange hues. Last but not least colors will make your designs come alive this year, it’ll eventually set your mood, and even influence your emotions and perceptions. What other topic would you like to talk more about? Looking for other seasonal color palette ideas to make your year sparkle? 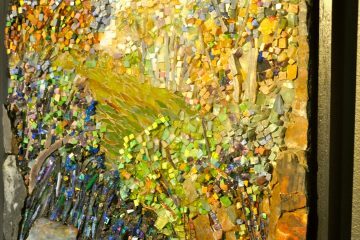 Mosaic Wall Art: Fall Color Palette has hundreds of creative ideas for you to steal!